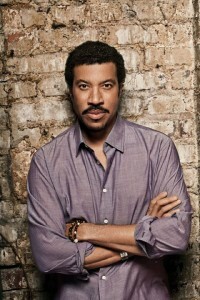 Looks like producers of Channel 9’s runaway hit ‘The Voice’ are pulling out all the stops to ensure a huge ratings victory for their last two shows, with confirmation that international superstar Lionel Richie will fly into Australia late this week for a whirlwind promotional tour, set to include an exclusive performance on Sunday night’s final. Naturally, he’ll be barracking wildly for Team Joel’s Sarah De Bono to win the competition, after she became one of the final four on Monday night’s show (along with Rachael Leahcar, Darren Percival and Karise Eden). Lionel’s latest album ‘Tuskegee’ is out now. We’ve not been given any indications about performances for the finale shows just yet. Love Lionel Ritchie but I’m so over The Voice!